The great Mayan ruins of the Yucatan Peninsula are not just a testament to a highly advanced civilization which has long since disappeared. On the contrary, the numerous Mayan ruins of the Riviera Maya and Yucatan remain as part of a living history whose influence, beliefs, and culture still play a major role in our everyday lives. With Fly Cozumel, a visit to these amazing pyramids, which served as ceremonial centers and even astrological observatories, becomes even more bucket list worthy when you combine a guided visit of the Mayan ruins with spectacular scenic flights over the mesmerizing land and seascapes. 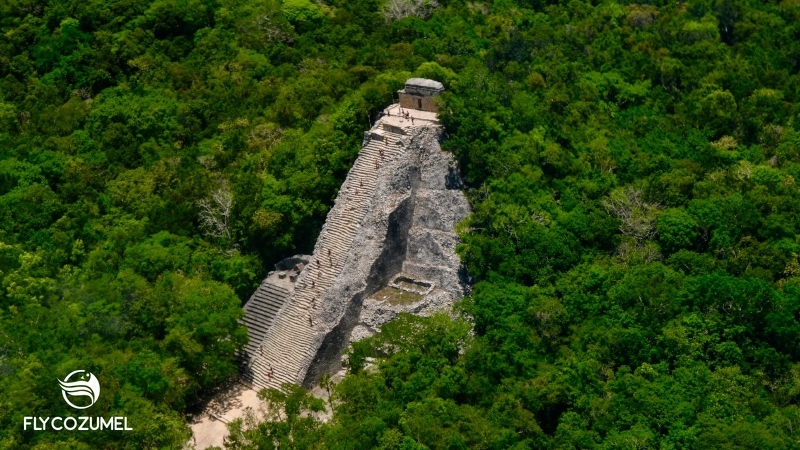 Visit Chichen Itza from Cozumel by plane! The Mayan ruins, a UNESCO World Heritage Site and Seven New Wonder of the World, are only a short 35-minute flight from Cozumel. Arrive in style and comfort at the famous site before the crowds and before the hot weather. 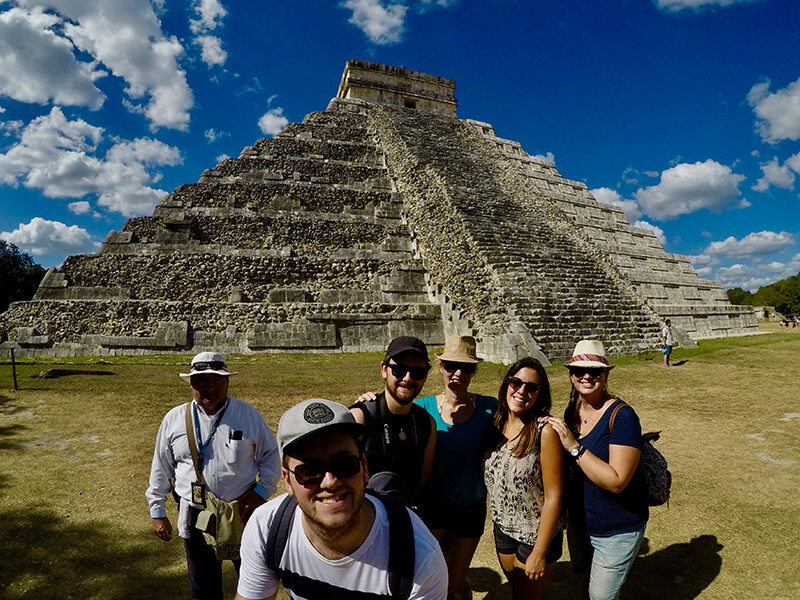 Visit ALL of the iconic Mayan Ruins of Chichen Itza, Ek Balam, Coba, and Tulum in just a few hours. You’ll travel in first-class style aboard a modern Cessna airplane. In just two hours, you’ll see four culturally important Mayan sites that would otherwise take days to visit! 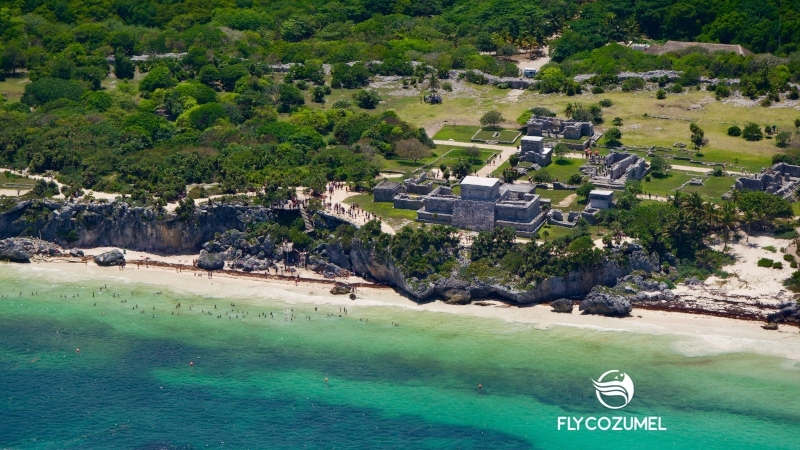 Fly to the Mayan ruins of Tulum in just 20 minutes by plane from Cozumel! You will arrive at the ancient city of Tulum before the crowds and before the hot weather. No more traveling by ferry and by bus for hours! Visit Tulum where Mayan history meets the amazing colors of the Caribbean Sea!